These short mini-lectures are designed to make Johne’s information readily accessible to everyone. Sometimes thing are better explained in words than in documents. Check back as more presentations will be added in early 2019. Michael T. Collins, DVM, PhD, DACVM, Professor, University of Wisconsin-Madison, School of Veterinary Medicine. 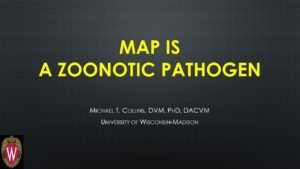 This short 20 slide presentation highlights reasons why so many experts consider MAP a cause of Crohn’s disease. It was prepared for the Human Para Foundation hosted meeting on this topic in Berkeley, California, September, 2018. Click on the title to view the show. Irish public television, RTE 1, broadcast 28-FEB-2018. 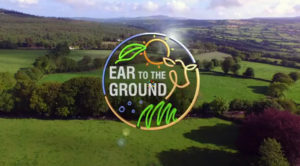 This 10 minute video shows lovely pictures of Irish dairy herds and is narrated in a delightful Irish accent. The video does an excellent job at describing Johne’s disease in dairy cattle, discusses the human health issue, and mentions the new national program. The Irish national paratuberculosis control program and has an extensive website. Click on the title to view the show. Narrated slide shows are a simple easy way to learn about Johne's disease. Just click on the topic and show of interest, then sit back, watch, and listen.